Michael Killen said, “I was honored that Demetra McBride, Director, Climate Action and Sustainability, Office of Sustainability, Santa Clara County–county often called the “Silicon Valley County” asked me to make “Sustainablity” available to her at the County Office Building to help her promote the Energy Upgrade California program. I am happy it is back in my studio–in the shop. 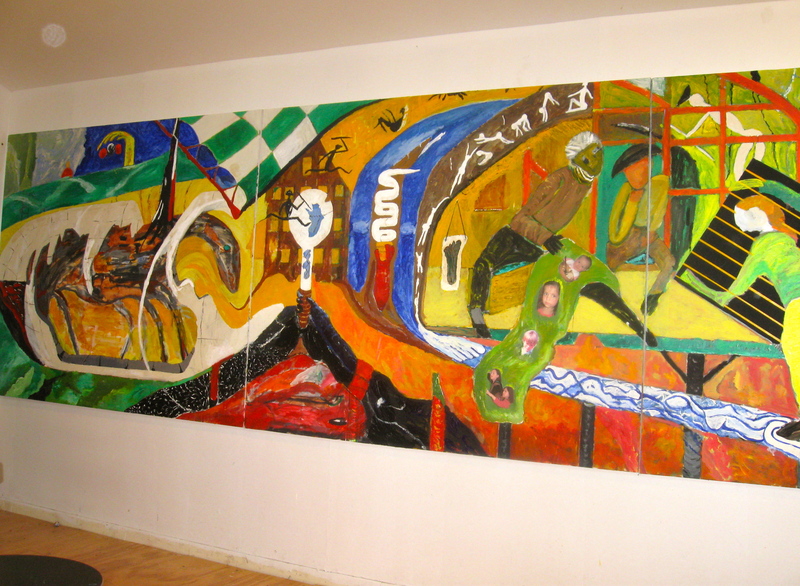 Becasue of a committment I had made to the City of Palo Alto I only had six months to make the 24 x 6 foot painting. Some of my artist friends had said making “Sustainablity” would be a two-year project. Some said I could do it in one year. I now welcome the opportunity to put another month or so into the painting before NASA Ames, Mountain View, California, hangs it in their new Sustainability Base lobby on November 1.